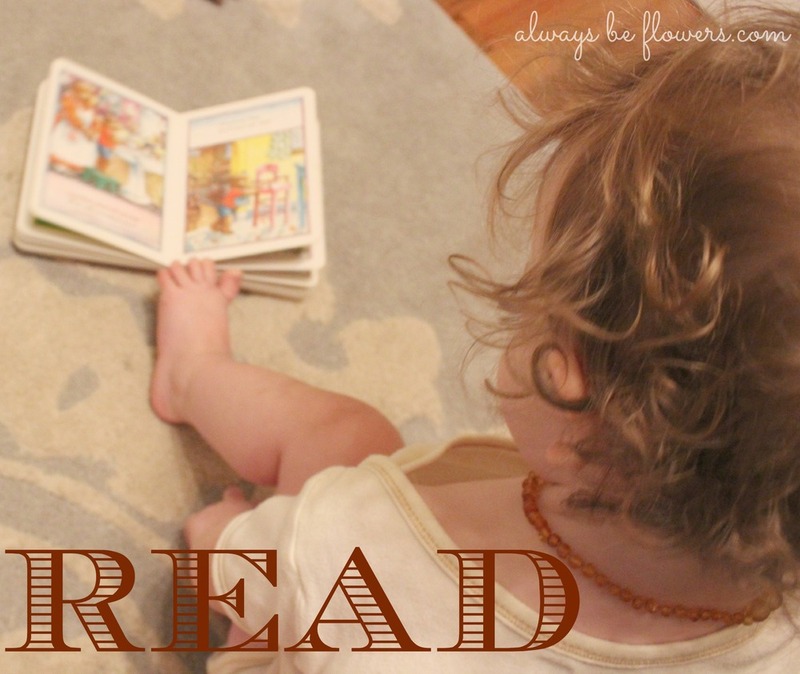 I read aloud to my daughter almost every night while pregnant (The Wind and the Willows.) But, now with a toddler, I can completely understand how parents would give up on reading to their kids. I feel like my little family has just turned a corner in reading aloud. Thankfully, I was determined because it took about 14 months to not feel like a reading aloud failure. It was HARD. It is difficult to read to babies, especially when they are very young. (Of course most things worthwhile are not easy.) When I read to my daughter I often feel that I am reading to myself. For a parent who is lacking spare time, this could easily deter them from prioritizing reading. Hopefully parents will freely discuss the benefits, along with the frustrations, of reading. 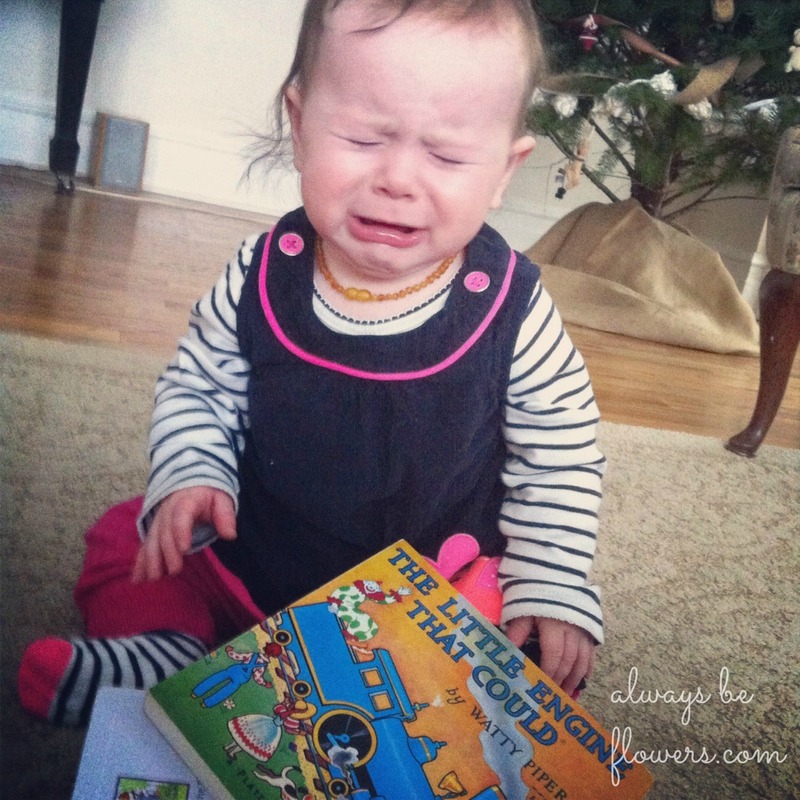 I tried discussing my frustrations (of reading aloud attempts) when my daughter was very young. I was often met with blank stares, or what I thought was judgment (which probably wasn’t judgment but all new Moms have a sensitive judgment radar.) Often the answer was “As long as you are reading” but that didn’t make me feel better. I am a person who wants a plan. I want to know other people have experienced my same struggle. 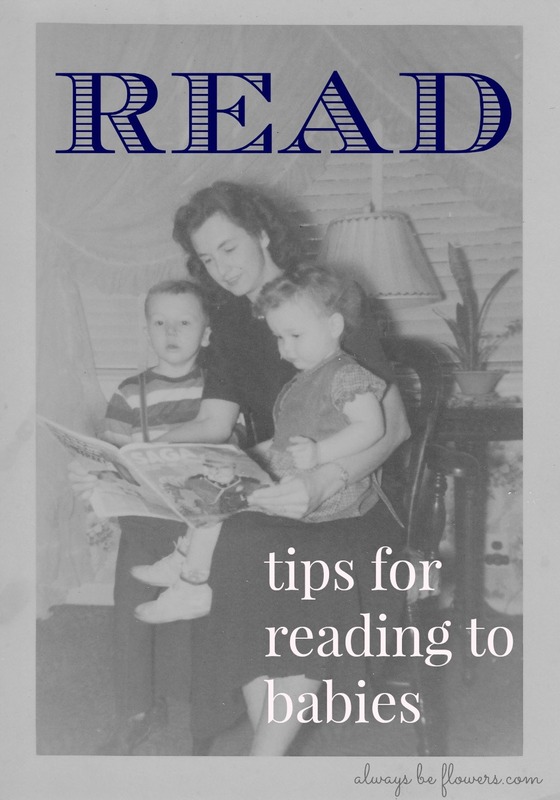 So I have put together a few tips to encourage reading to babies and young toddlers. Maybe this will help a frustrated new Mom. 1. Don’t force them to sit. Just read. Feel like you are reading to yourself? Use this as an opportunity to read something you enjoy as well. I am currently re-reading the Narnia series to my daughter, but have thought about using the opportunity to read any book on my re-reading list. Albeit, Narnia is going to take me forever since I only read 5 minutes of the book at a time. It is a lesson in patience FOR ME. While you may think this is a waste of time, take 15 minutes a day to relax with your child. Reading to my daughter doesn’t look like bedtime in a sitcom or something out of a Norman Rockwell painting. I let that mental picture of motherhood go. I have this particular board book (Jesse Bear, What Will You Wear?) memorized. Don’t give up on the act of reading because your child wants you to skip pages or end a book midway to switch to another book. Since young toddlers cannot fully communicate, these actions are just a part of them trying to tell you something. I don’t know what they are trying to tell you. Roll with it. They will eventually learn to sit through a whole book. When they are in the rip everything or put everything in their mouth phase, give them books they can chew. The Indestructibles series was great for this in the first year of my child’s life. I even brought them to the library’s story time for fear of my daughter eating library books. Now we use mini (about 3” square) board books as she wants to be holding and turning pages. I still don’t trust her to not destroy a paper paged book. We have cubbies and baskets for easily accessible books. Make books easily accessible, but keep special paper paged books tucked away. If you are constantly pulling a books away from your curious child (for fear of destruction) your child will end up hating books. Keep board books easily accessible so they can explore books freely. I suggest a basket full of board books, as it picks up easily and toddlers also love unpacking and repacking baskets. You can find great deals on board books at consignment sales. Don’t force reading into a particular part of your daily routine. I was really stuck on the concept of reading before bedtime, as this was how I grew up. When I forced this time slot, we had meltdowns and this made me think she simply hated reading time. It just wasn’t the right time for her. Around 9 months old we realized book time worked before bath time. We also read throughout the day. Don’t think you are failing as a parent reader because you don’t have a set time for books. Any reading is better than no reading. Please share your tips and challenges on reading aloud to young children in the comments below! I would love to hear from you!